Having trouble connecting to your HANA tenants DB in the cloud? First time deploying a HANA MDC instance in the cloud? Getting error trying to create or connect to HANA tenant databases? administrators user accounts SYSTEM and XS_ADMIN to be able to manage tenants. 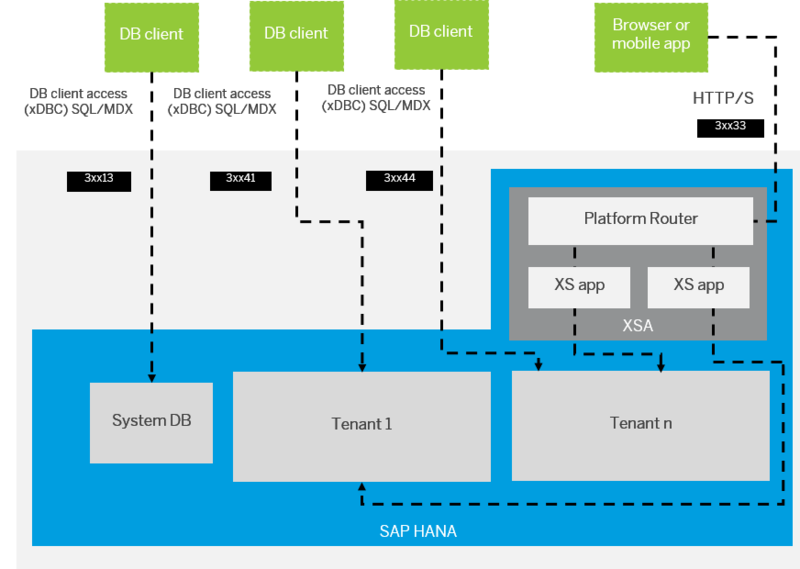 For HANA STUDIO connectivity, you need SQL ports opened from internet. As a reminder, each tenant DB has 3 ports for Internal, SQL and HTTP purposes (with successive numbers in range (3xx40 to 3xx99). Launch and configure your HANA Studio with access to SYSTEMDB of the HANA instance you are targeting. You can use SYSTEM at first, but be sure to create appropriate technical users with limited privileges for different purposes (backup, monitoring, managing roles and users, etc.). You can specify the scope to be system wide. You can add the new connection to your tenant db in HANA Studio, with your user and specifying the targeted Tenant. I am running SAP HANA Express on GCP and can’t connect to the tenant database using HANA Studio. Connecting to the SystemDB works without issues and also connecting via hdbsql to the tenant database works. I tried both OS, Ubuntu, and SLES, without success. I have read that other people had the issue and it was resolved with HANA Studio 2.3. I upgraded to 2.3 and still have the issue. I was thinking it could be a Google thing, but I am not sure. Has anybody successfully connected to HANA Studio on GCP? Do you have any other advice on what I can try to connect via HANA Studio? Have you added the map_<host> parameter in from your HANA systemdb connection ? I’ve made it work on GCP.